Lots of fun practising ordering numbers to 10 with these lollisticks. Thanks to my fantastic stage partner for letting me take a photo of this resource she made for our P1s. Each cup has a set of numbers 1 to 10 on coloured lollisticks and all the children need to do is pick a colour and order the numbers. 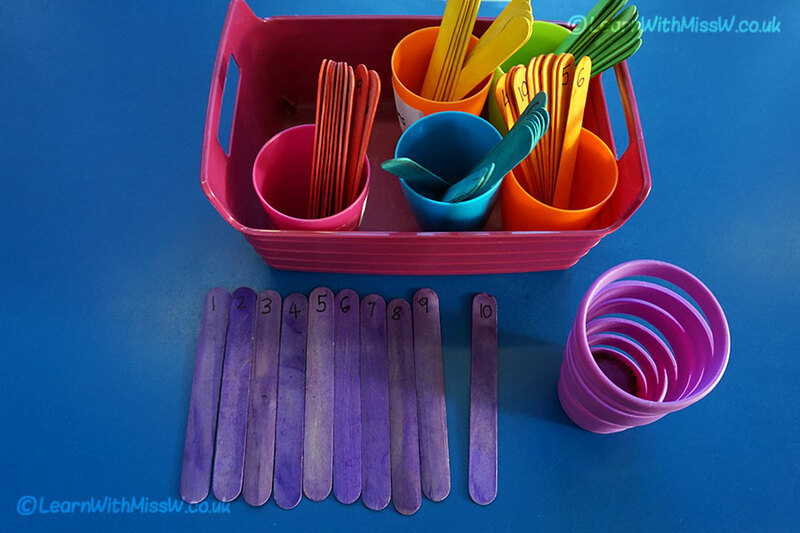 Great as a warm up game, a maths station or keep on the maths table for independent practice. These were really handy when I was assessing whether my children could order numbers to 10. I was able to observe 6 children ordering the numbers at once and I just recorded what they were able to do on my assessment sheet. We’ve started exploring number to 20, so we’ll extend this game to include numbers past 10.